The Internet Archive’s Wayback Machine has successfully indexed more than 400 billion webpages. It’s a significant achievement and to celebrate, the archive recently published a list of other Wayback Machine highlights since it began indexing the web nearly 20 years ago. For those unfamiliar, the Wayback Machine is a digital archive of the World Wide Web created and maintained by the non-profit Internet Archive. The service allows visitors to view webpages as they appeared during different points in time starting as early as 1996. As the celebratory blog post points out, the Wayback Machine was first opened to the public in 2001 despite having crawled the web for five years. In 2006, a service called Archive-It was launched which allowed libraries that subscribe to the service to create curated collections of valuable web content. Three years later in 2009, the Internet Archive teamed up with Sun Microsystems to launch a new datacenter designed to store the entire web archive. The 3 petabyte center handled 500 requests per second and was housed in a shipping container. More recently, new features were added to the Wayback Machine including the ability to see newly crawled content an hour after it was captured, a “Save Page” feature that allows anyone to archive a page on demand and an effort to fix broken links on the web. 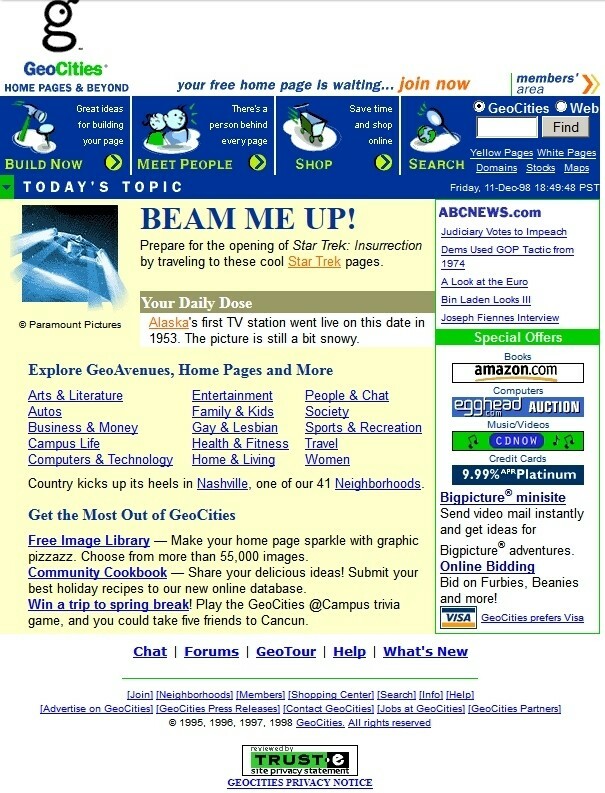 If you haven’t yet checked out the Wayback Machine, it’s certainly worth a look. Seeing the web as it was years ago shows us just how far technology and design have come in a relatively short period of time.